If you want gorgeous, radiant locks or to heal fast from that pulled hammy after dropping into a split, then protein is a must. Every cell, tissue, and organ in our bodies is made up of protein, so getting your fill is important when it comes to building and repairing your cells. Protein is made up of amino acids, 12 of which are produced by the body. The other nine, called essential amino acids, must be obtained from our diet. Complete proteins contain all nine, and since red meat, poultry, seafood, eggs, and dairy are complete proteins, those who eat meat and milk are in the clear. If you’re avoiding animal products, then you’ll need to eat plant-based complete proteins and combinations of foods to make up the difference. While it isn’t necessary to eat complete proteins at the same meal — you can eat beans for lunch and rice for dinner — if you’re a busy vegetarian, you’ll find it easier to enjoy them together. 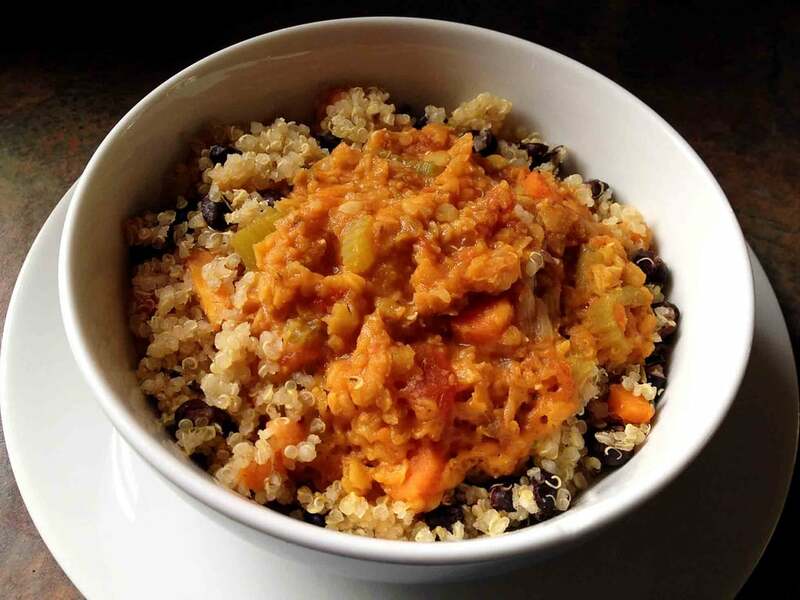 This dish of Mexican tempeh with black beans and quinoa is a perfect example of a complete protein as it contains both legumes and whole grains. Keep reading for more vegan meal ideas that contain complete proteins — all under 400 calories. 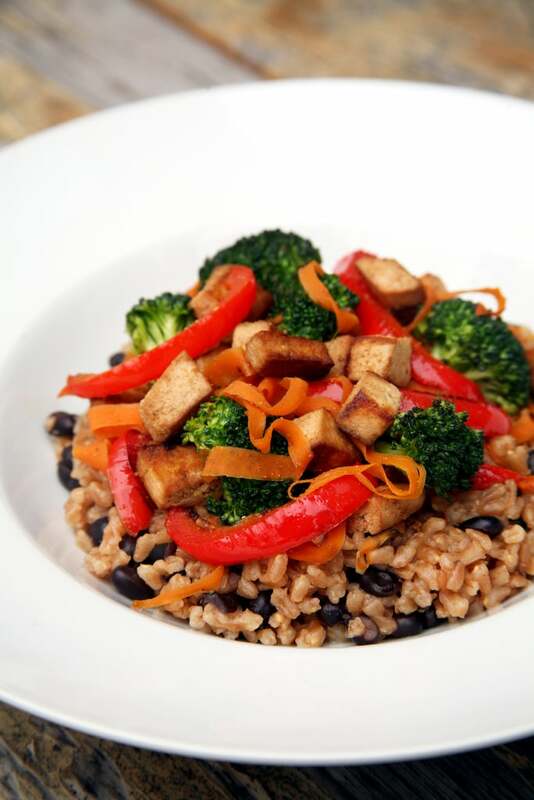 Mix up your grains to beat boredom and make farro with black beans and maple-cumin tofu. You’ll feel completely satisfied after a 380-calorie bowl. Whether you’re grilling or cooking them on the stove, veggie burgers are a great option for vegans. 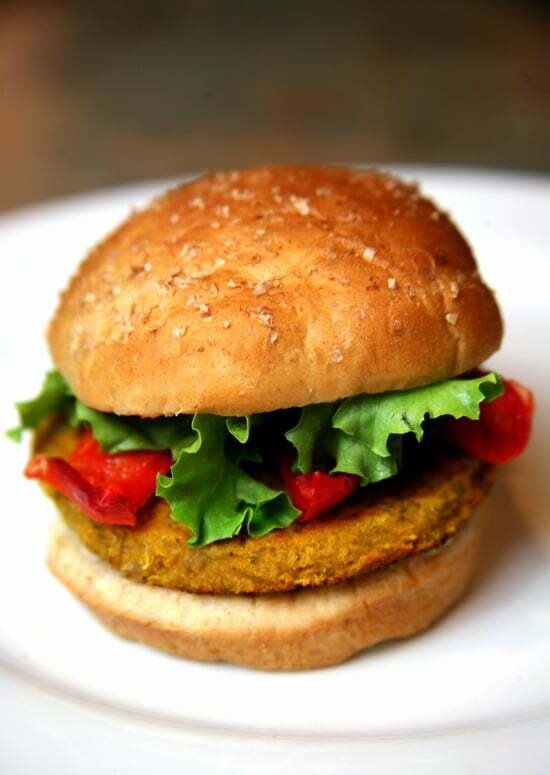 This spicy chickpea barley and quinoa veggie burger surrounded by a whole-wheat bun offers a complete protein. If you don’t feel like whipping up this recipe, then find store-bought veggie burgers made with black beans, chickpeas, or soy. The bun is about 200 calories, and most veggie patties are between 100 and 150 calories, so if you add some fresh tomato or onions, then you’ve got yourself a 400-calorie meal. Always a crowd-pleaser, the simple nut butter on whole-wheat bread offers a complete protein since it’s a combination of nuts and grains. Drizzle on some agave, spread on some jam, or add sliced fresh fruit for a bit of natural sweetness. 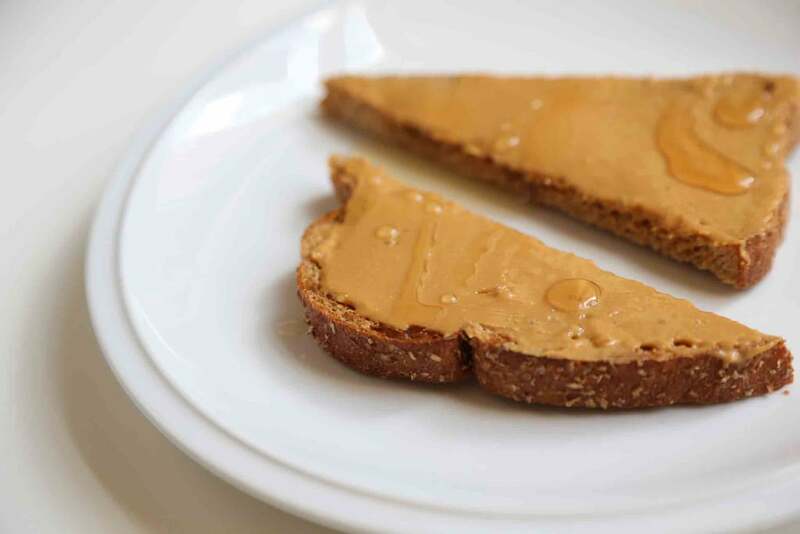 Two slices of whole-wheat bread (200 calories), one tablespoon of all-natural creamy peanut butter (105 calories), and one tablespoon of strawberry jam (40 calories) make a 345-calorie sandwich. Quinoa is high in protein, and you’ll be happy to know it stands on its own as a complete protein. 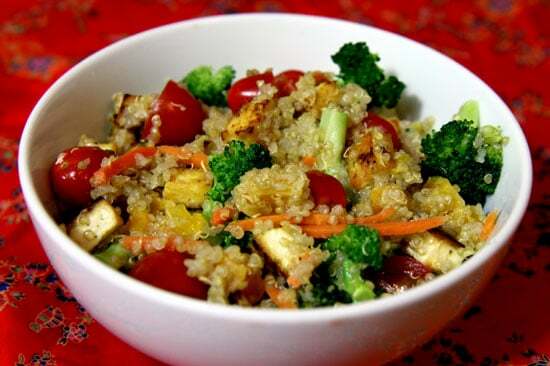 One cup of cooked quinoa offers 254 calories. Mix it with some roasted veggies and tofu (another complete protein), and this überhealthy dish is well under 400 calories. Soybeans are considered a complete protein, and since tofu is made from these beans, it’s a great addition to any vegan’s diet. Buckwheat is also a complete protein. One serving of this baked tofu and buckwheat Spring salad, at only 294 calories, offers a double bang for your buck. 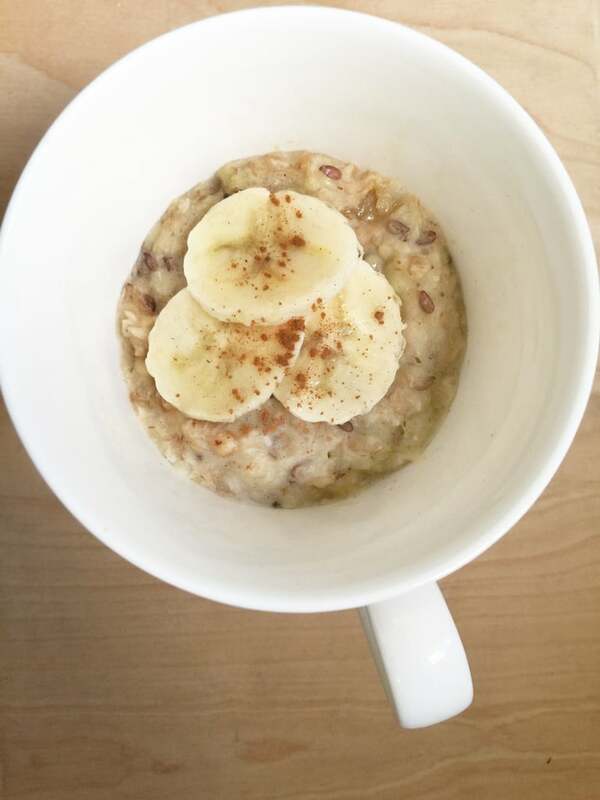 For breakfast, doll up a boring pack of instant oatmeal by adding peanut butter and banana. Lentils and quinoa make the perfect complete protein. For under 400 calories, this yummy bowl of cumin-spiced lentils with quinoa offers a whopping 18.7 grams of protein and 19.5 grams of fiber.